Meet Nurse Jamie’s game changer. 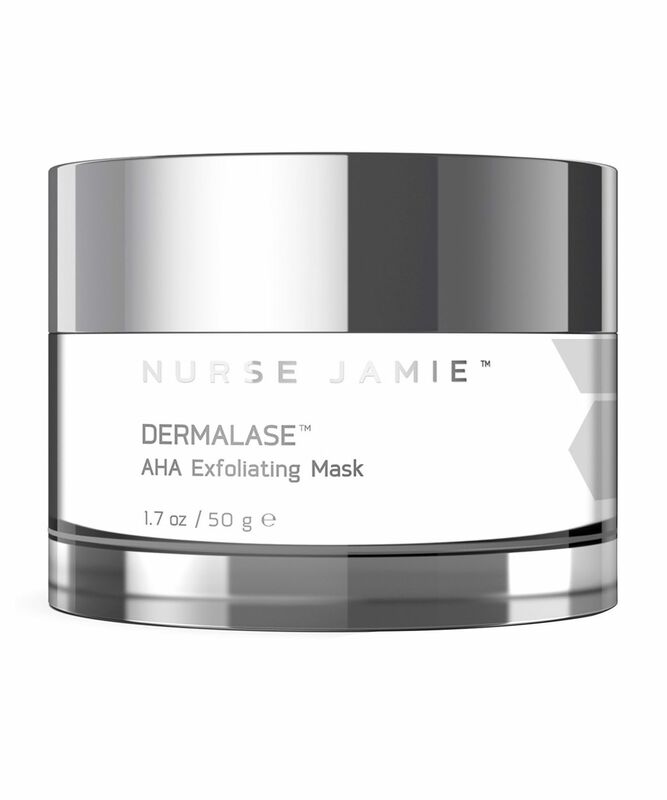 This powerful exfoliating treatment mask is formulated with alpha hydroxy acids – powerful little compounds that help to remove dulling dead surface cells – to promote brighter, smoother and younger-looking skin. Mixing pineapple, lemon, grape and passion fruit extracts, this mask is a tropical cocktail of exfoliating experts. The stars of the show are papaya seed enzymes – which help to promote cellular regeneration – and alpha hydroxy acids, which work to gently ‘dissolve’ the dead cells which can compromise radiance – revealing the fresh, healthy cells underneath. An effective revitalising peel, Nurse Jamie’s Dermalase AHA Exfoliating Mask also contains age-defying glycolic acid to gradually lessen fine lines and wrinkles while ‘unclogging’ blocked pores and diminishing dark spots and post-acne scarring. Just 5-7 minutes is enough for this miracle mask to work its magic. First got this as a tester and was so happily surprised that I had to get the full size. It's easy to use, takes only few minutes and delivers a bright clear skin... I will repurchase when this jar is finished.... which it isn't quickly as a little goes a long way. Ooh, this is nice. I got this in the latest goodie bag, and I really like it. It's such a good chemical exfoliator and it just takes seven minutes, which is ideal when you don't have (or wanna spend) a lot of time to do your skincare. Really cool consistency as well, it's a bright red gooey gel, which makes it fun to use. I have sensitive skin, but this didn't irritate my skin at all. This is a very good chemical peel, made my skin much brighter and my pores less visible. It has an artificial “fruity” smell and a jelly consistency. I used a mask brush to apply it and due to the jelly feel, I ended up applying way too much - it was a nightmare to remove. Probably best to apply with fingers. Overall, a solid product.